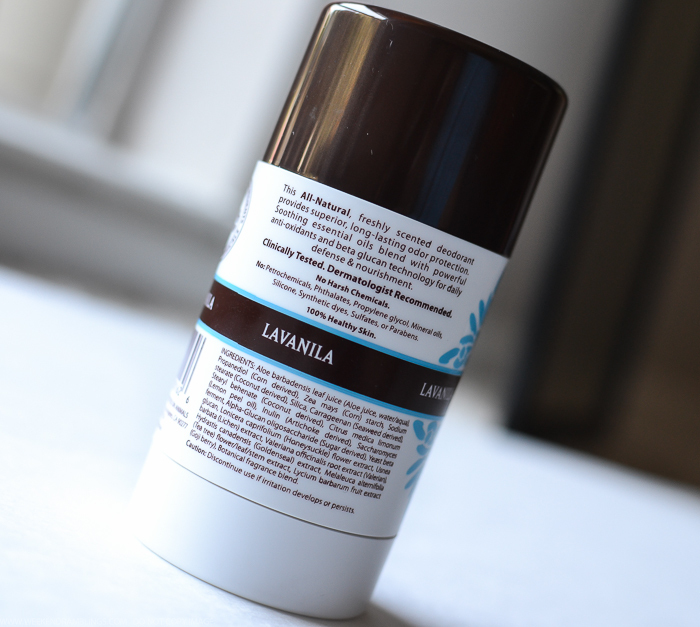 Lavanila Healthy Deodorant Vanila-Coconut has a sweet, nutty fragrance to it that I love. I only notice the fragrance while applying, and I don't think it clashes with my perfumes in any way. It could be that I have gotten used to the smell, but I think it's quite subtle. The roll-on feels slightly wet and cool, but there is no noticeable wetness to it on the skin - actually feels slightly dry and powdery. It goes on clear and doesn't leave any white residue on clothes unless I rub on way too much product. 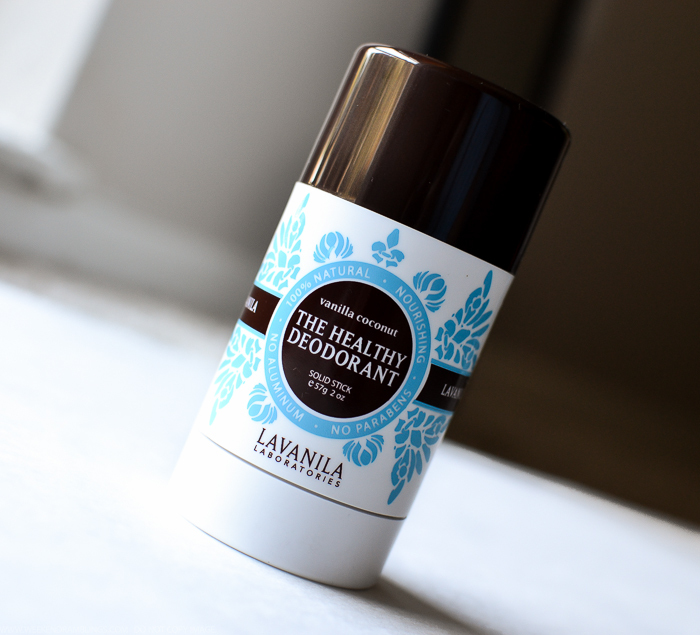 I have been using this deodorant daily, and it has been quite effective both with regular activities as well as moderate exercise. I haven't had any skin irritation with it either. This doesn't have any antiperspirant action, at least as far as I can tell, but it's really not an issue for me. I have to admit, though, I spend most of my time indoors and don't really have a stressful, running around trying to get things done kind of job. I can't tell for sure how well this would hold up if are a serious runner, for example, but for my lifestyle, this is definitely a healthy deodorant option that has lived up to its claims. 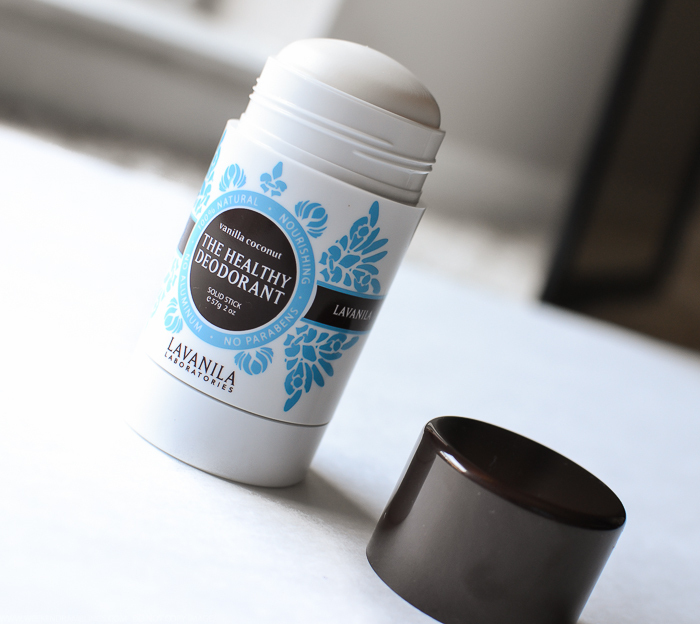 Lavanila does make a Sport Luxe deodorant, which I assume would be a better pick if you are looking for a heavy-duty version. It is currently listed as limited edition, but I do hope they make it permanent. Also, this product uses essential oils and naturally derived ingredients, and while I have not had any skin irritation or other issues with it so far, do test it out (and/or buy from a store with a generous return policy) to be sure it is suitable for you. Beta-Glucan technology promotes healthy skin and fights odor with a complex of powerful antioxidants, anti-bacterial agents, and polysaccharides. Goji berry - antioxidant and anti-inflammatory action, 21 essential minerals, and 18 amino acids. Japanese Honeysuckle - natural preservative and antibacterial and anti-inflammatory agent. Lichen Lemon and Tea Tree Oils prevent the growth of odor-causing bacteria.